EUDAT understands what is important when it comes to common data services. EUDAT is a pan-European data infrastructure. 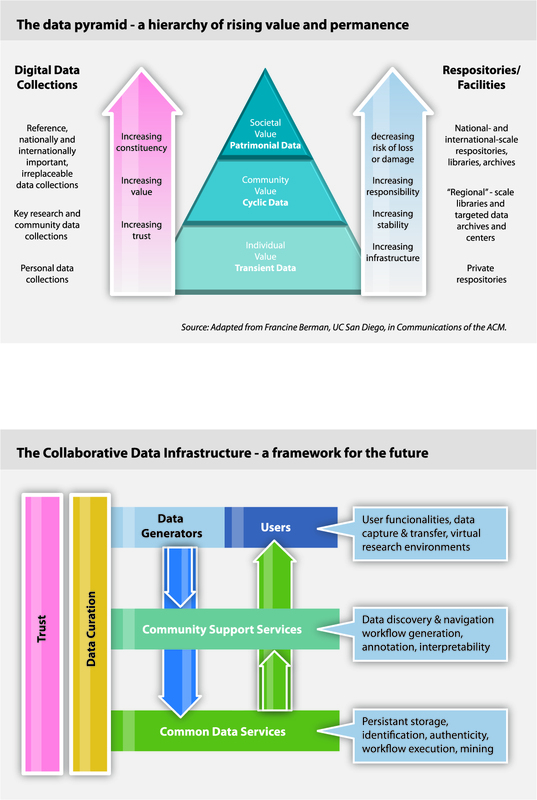 Its mission is to design, develop, implement and offer 'Common Data Services' to all interested researchers and research communities. They should be flexible to allow new communities to be integrated (which is not a trivial requirement given the heterogeneity and fragmentation of the data landscape). User communities must be in the driving seat to select high-priority services and their major functional characteristics. Close collaboration with senior technologists from different backgrounds is essential to guarantee the openness, technology independence and flexibility required. The establishment of trust is key for acceptance of data services and trust has many dimensions including irrational ones. Furthermore establishing trust require considerable time investment. Persistence of data and sustainability of the service framework are key aspects of trust establishment. In most cases common services can only be developed and shaped in close collaboration with interested research communities. Since its inception in 2011 EUDAT has explored ways to build generic technical services that support multiple research communities and works closely with a wide range of communities to deliver these services as part of the CDI. EUDAT uses novel methods to involve all the stakeholders, both in the discussions to determine the required services, and in the process of designing, developing and implementing those services. This experience has shown that actively involving the user communities in all steps is a must for infrastructure projects, and increases the likelihood of a broader uptake of the developed services as they are made available. For the research communities, there is much to be gained early on from such collaboration, for example, cross-fertilisation and harmonisation with respect to concepts and knowledge, organisation and technologies.